Vorsprung Durch Technik – What does it mean? Chances are you’ve seen an Audi advert in the past, chances are you caught their slogan Vorsprung Durch Technik, chances are you’ve wondered what it actually means and you’ve ended up here, so let us take you through the history of Audi’s famous slogan. 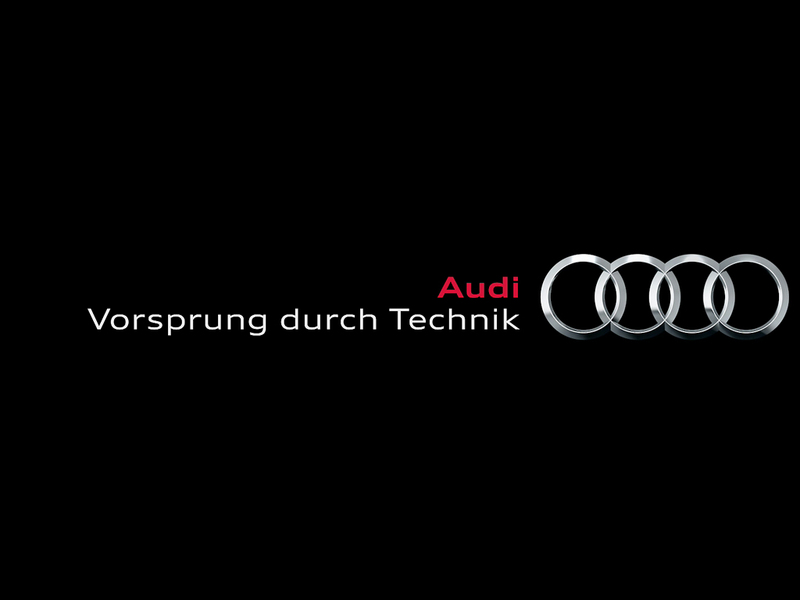 What does Vorsprung Durch Technik mean? In plain English it means “Advancement through technology” which fits with Audi’s pursuit of technological excellence in their vehicle engineering. A slogan that has accurately captured Audi’s philosophy behind the design of their vehicles, the phrase is synonymous with German efficiency. Why do Audi use this slogan? Well it all started in 1984. When advertising supremo Sir John Hagerty, founding shareholder of Satchi & Satchi and co founder of his then new ad agency BBH, was visiting Audi to discuss an advertising strategy for the UK market. Hagerty walked into the factory in Ingolstadt, Germany and noticed “Vorsprung Durch Technik” emblazoned on a faded poster on the factory wall. After enquiring and being told that the slogan wasn’t used any longer, Hagerty took interest and suggested running an ad campaign using the slogan, despite the doubt his colleagues showed. Audi agreed to run with the slogan and thus was born one of the most famous automotive catchphrases of all time. Audi has used the slogan as their brand moniker ever since and if fact recently won copyright over the term in the courts too, officially recognized by the European Justice Court in 2008. What about Americans what do they call it? In 2007 Audi USA decided to tinker with the slogan for the american market and instead rolled with “Truth In Engineering”. A slogan that has similar connotations as “Advancement Through Technology” but said a little differently, perhaps to fit with American brand identity. Can we see the original Audi ad? See how the slogan had a pretty central role in the whole ad, what with planes flying alongside the coupe and the young female using a car phone (at the time, revolutionary tech remember). It’s clear Audi’s marketing focus was to ensure Vorsprung Durch Technik was integrated fully into the experience of owning an Audi car. While you’re at it what does Audi mean? We may as well kill two birds with one stone then and get to the origin of the Audi name. In 1904 August Horch, a German engineer who initially worked for Karl Benz (regarded by many as the father of the automobile), founded August Horch and Cie. Motorwagenwerke AG. After a disagreement with his partners he decided to break away and form a second company by himself called August Horch Automobilwerke GmbH. Horch’s former partners however sued him for breaking copyright on the name and the court ruled in favour of the original company. Stuck for a new name Horch organised a meeting with business associates. As they sat contemplating a company name the son of an associate, studying Latin at the time, suggested the Latin word Audi as a replacement for Horch. As Horch means to hear in German, Audi means the same in Latin, the name stuck and the rest is history. There you have it, an Audi education session. If you found this article interesting take a look at some of our other car facts articles.